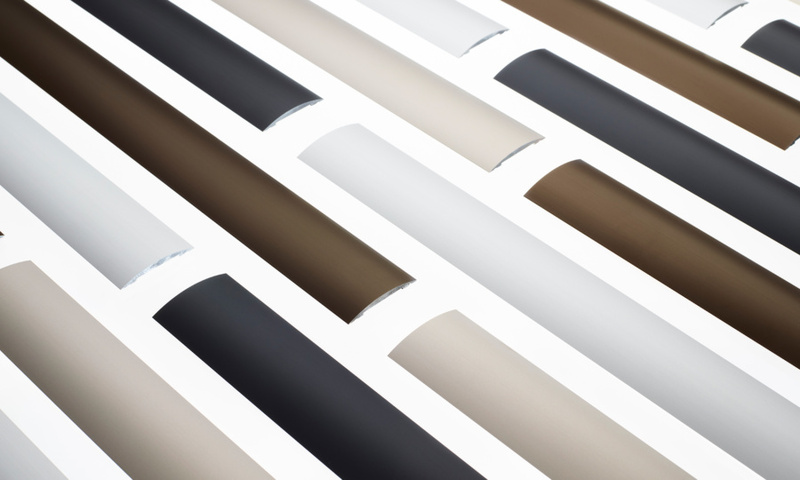 LAS9010 is an innovative, slimline flush bolt that seamlessly integrates with our most popular drop seal - LAS8001 si. The flush bolt is a security device to be used on pairs of doors to secure the inactive leaf. 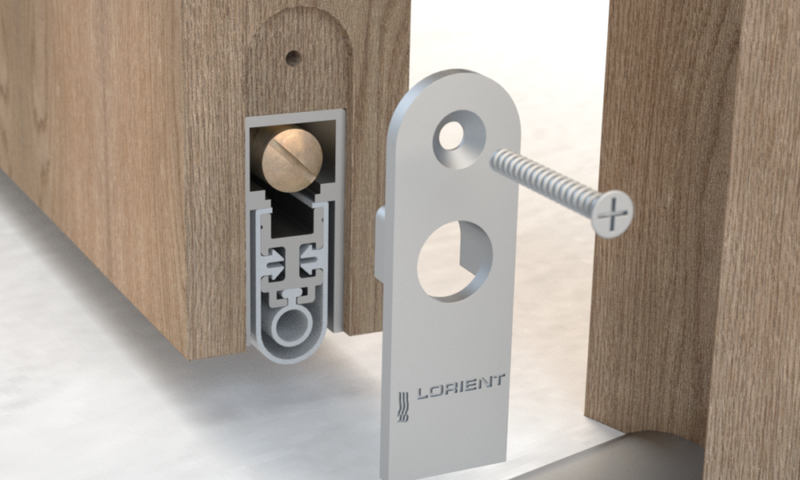 It is activated by a discreet Lorient branded lever, that drops the bolt into a sleek keep in the floor. 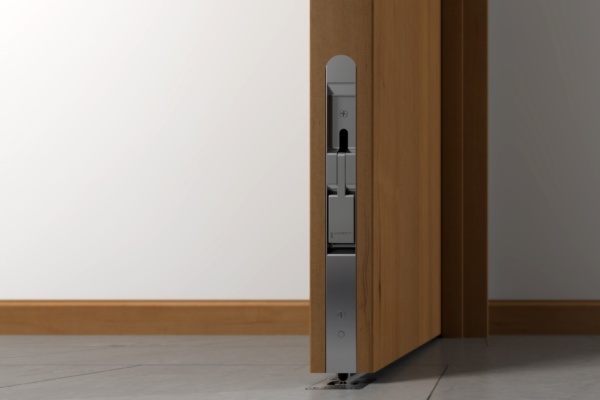 Specifically designed for use with our rebated high-performance drop seal; together they provide the ultimate system combining security, with acoustic, smoke and energy containment at the bottom of the door. UK designed and manufactured, the flush bolt can be teamed with any length of LAS8001 si drop seal – with the ability to cut to size. It does not penetrate the drop seal gasket and no adaptor kits are required. A matching variant for the top of the door is also available. Extensively tested for peace of mind, the flush bolt maintains the acoustic performance of the drop seal Rw 41dB (BS EN ISO 10140-1: 2010+A2: 2014, Annex J); is fire tested to BS 476-22: 1987 in FD30 and FD60 doors and is classified to BS EN 12051: 2000. Patent applied for No. 1718821.0. True integration. No adaptor kits or workarounds needed. Just simple installation and uncompromised performance.